9.5 oz. 80% cotton, 20% polyester. Sport Grey is 70% cotton, 30% polyester. Dark Heather 50% cotton, 50% polyester. Double-needle stitching throughout. Front pouch pocket. Air jet yarn creates a smooth, low-pill surface for printing. 1x1 ribbed cuffs and waistband with spandex. For those who wanted more warmth than the regular hooded sweatshirt, look no further. Fits small, very cozy. "Super soft and comfy. I've been wearing it since I got my order! I was glad I called the help center to ask about sizing. Based on the size chart, I am a XL, but the large fits perfectly (might even be a tad big). " "the sweater was a little loose, wish it had a better sizing chart. but it was great." 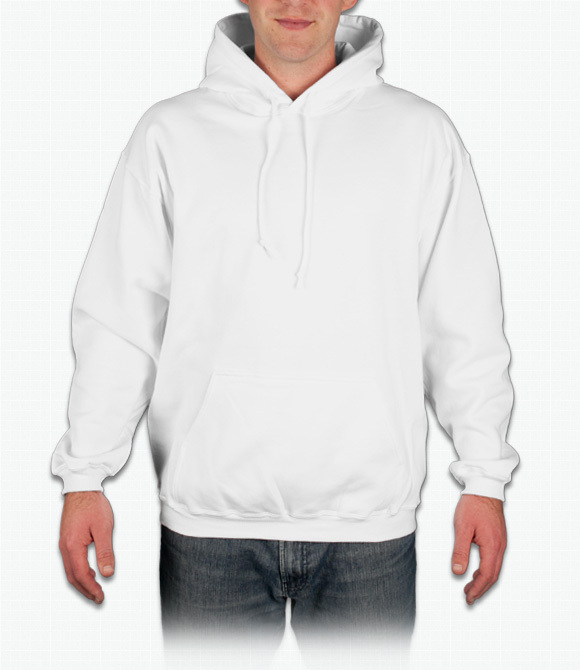 "The Gildan Ultra Cotton Hooded Sweatshirt fits well and it is warm but the material on the inside of it rubs off on clothing and it is very visible unless it is the same color if that makes sense."